Dear friends, donors and supporters, within our pilot semester we accepted 1.250 students in October 2015 and were able to close partnerships with 19 partner universities until today. Among them are RWTH Aachen, FH Lübeck, BAU Berlin, HNE Eberswalde, TH Wildau, Universität Kassel, Macromedia Berlin, SciencePo Paris. Currently we are in discussion with over 120 more universities and looking forward to welcome them soon in our programme. Our students are currently based in more than ten different countries. New students During July 2016 we have been working on accepting new students, who got access to our learning platform Kiron Campus a few days ago. At the moment most of them are still doing their first test courses, but as soon as we know more details about our new students we will have an update for you as well. How the first semester went The first semester has brought a lot of learnings with it already. We realized that we had a good start with our offerings, but need to start additional services in order to match the needs of our students even more. A full online degree program requires a lot of discipline and especially after arriving in a new country: a lot is demanded of refugees from paperwork to learning a new language and getting familiar with the culture of the hosting country. This is the reason why we want to strengthen our offline services in terms of quality and availability for them, in order to make their online study experience easier and more convenient.These additional services cover a buddy programme, a career service and counselling. They were started in Germany and the feedback is very positive. From now on, we are working on both improving those services and increase their availability in cooperation with our regional and international groups. Study Hubs Since some students are still missing full access to hardware and internet, one of our key focus areas is the set up of study hubs, which are local physical spaces with infrastructure and easy access at multiple locations. These hubs are important in order to connect students within the same area to improve exchange and build study communities. Over the last few months we were able set up hubs in Berlin, Aachen, Cologne, Lueneburg, Lörrach and Paris. More cities are to follow! Dear Donors, Supporters and Fans, We want so say „THANK YOU“, with your help our crowdfunding campaign has been such a huge success! 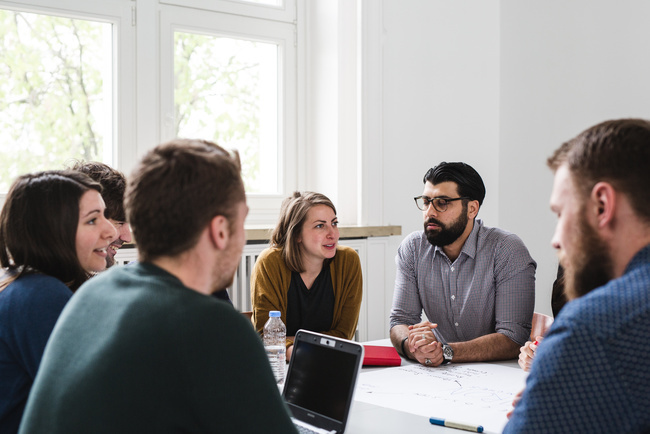 You make it possible that the first students start their bachelor-program and receive the support they need to study successfully.537,329 Euros – this amount has exceeded our highest expectations! As soon as we receive the money, we will be able to contact every single donor and provide the information and goodies attached to the respective donation. We would like to apologise for the delay and thank you for your patience in the meantime. Exciting weeks are laying behind us: We are now collaborating with strong corporate and public sector partners to supply hardware, software, and Internet access in different regions. Through the cooperation with educational institutions and decentralized “Learning Hubs,” we enable access to study rooms and exchange among students. At the same time we accomplished cooperations with language support providers like Babbel, LinguaTV and the language center Instituto Cultural Colombo Alemán (ICCA) to provide students access to multi-language courses to English, German, and other language courses. Moreover as you can imagine many displaced people have encountered traumatic experiences before or during their flight, which makes studying even more difficult for them. On this account, we are now offering students access to our student support services through Kiron emPower, where they have the option to receive psychosocial advisory and tutoring, as well as the opportunity to participate in our buddy and mentoring program. As soon as we receive the data from Start-Next, we will contact everyone who donated to our campaign with further information. Thank you very much for your support! 2 more days to go and we are still getting applications from interested refugees who want to take their chance to study. There is hardly a force more empowering than education and we want to let you join us and be a part of the Kiron story! On Friday we received support from the BMW Foundation, which makes it possible for 100 more students to start their education. Besides, we are lucky enough to team up with FH Lübeck, Udacity, TU Clausthal and TH-Wildau FH! Together we open higher education! 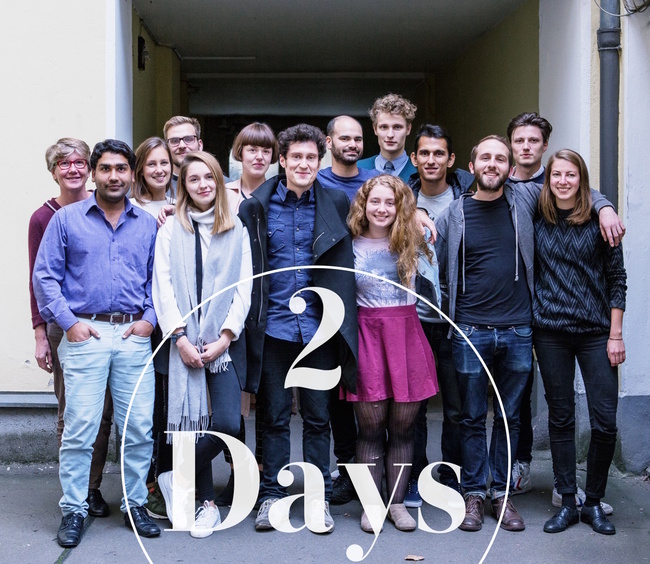 Every euro spent for our StartNext campaign will be doubled and is greatly appreciated to bring us a step closer to our target of 1,200,000€ - providing funding for the 1000 students! What we provide is more than an access to a bachelor’s degree and with it a qualification to overcome obstacles in economy and society. 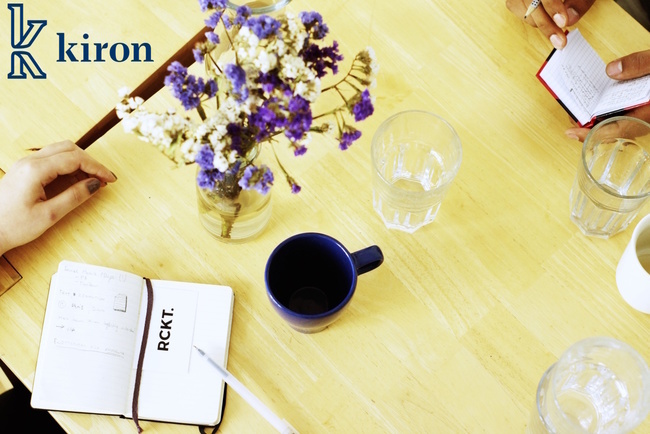 We provide a structured daily life, based on learning, creating and involving yourself in the best way you could possibly integrate yourself: education. Now that we are in the final spurt of the crowdfunding campaign, we wanted to use this Sunday to be grateful. We are exhausted yet happy and so content about all the kindness we receive, all the good messages and that more and more universities are willing to collaborate. 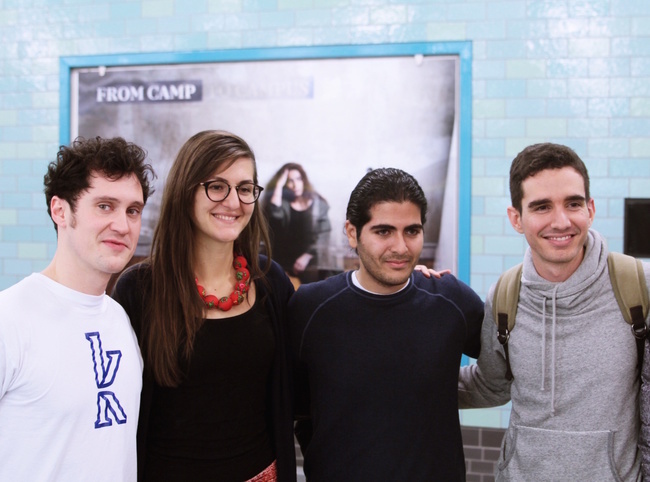 watch the new video to find out about our poster-secret at Alexanderplatz Berlin! With your support, we were already able to enable 200 refugees to become students. 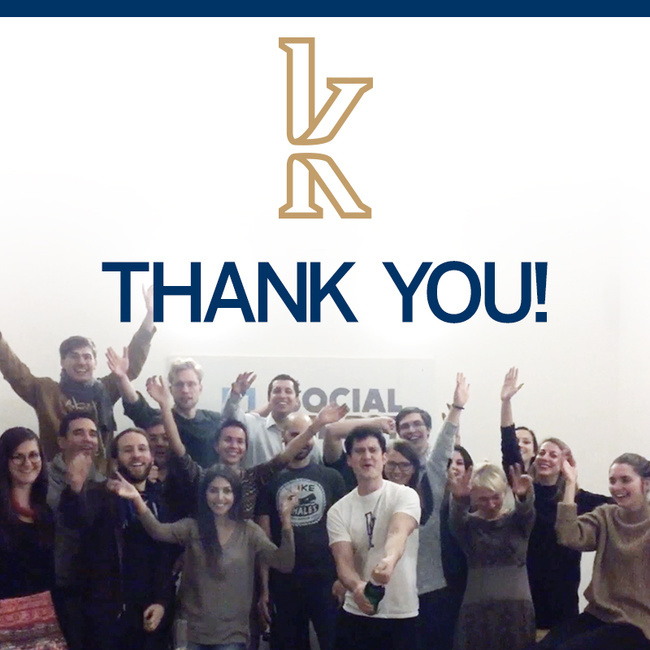 We want to send a HUGE THANKS to all of you! You cannot imagine what your support means to our students. Since we got closer and closer in touch with our first students throughout the last weeks, it was just incredible to see what we are doing this for. The first study groups already organized themselves without us even knowing about it and we get tons of feedback every day that we use to improve the student experience. With your support, we are giving humans back their hope, dignity and a worthy life. Your messages and comments also motivated us so much, that we decided to start a SPECIAL ACTION: For the next 10 days, every donation will be doubled by an anonymous supporter. Additionally : From tonight on for the next 10 days, there will be a huge and very special poster at U5 Alexanderplatz in Berlin that says everything Kiron is about. We don´t want to reveal the whole mystery yet, but a video will follow soon. Go and check it out! During the same time and sooner than expected, we will also start our buddy-program. So stay tuned on updates and personal messages for that! We would also like to show the faces behind our supporters. If you are interested in getting involved in that, please get in touch with us! Those really are GREAT NEWS for all of US! We grow bigger and bigger and soon we will be able to empower every refugee who is interested in taking their education to a higher Level. We cannot put in words, how proud we are. YOUR DONATIONS MADE IT POSSIBLE. You are awesome and the journey continues! Today is the day we´ve been waiting for. Not only us, but also you, the students who wrote us how excited they are to finally start. Due many paperworks, it can be really hard to get started, even if you already found a place to stay in Germany. It can be hard to develop an everyday life in the beginning. 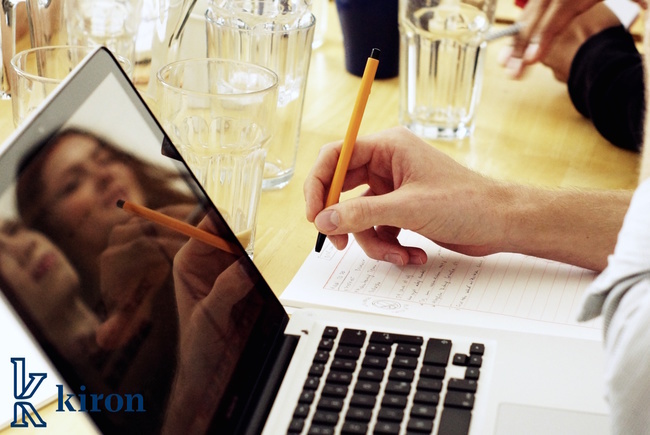 We at Kiron want to let you learn TODAY and learn from you, too. It might happen that the system does not work perfectly fine from the very beginning. Please regard, we are trying to improve ourselves as much as we try to improve everything for you. If you have any questions, we are always there to answer them and we are excited to hear about your opinions and how everything works out for you. Wa also want to use this chance to say thank you to all of you. The volunteers, who worked for many days and nights, the students, who gave us feedback and the supporters, who never stopped to believe in the good cause of KIRON. We are very proud today, not only for us, but for all of you! May the first Chapter of the KIRON STORY start today! University starts on Friday for almost 1000 students at Kiron. We asked Kashif, who hails from Pakistan, to study mechanical engineering and how he prepares himself to commence his studies. "I'm highly motivated! I am really looking forward to it. It will be a good chance to turn my dreams into reality. I'm really interested in engineering, mechanical engineering, you know? To work with machines. I believe I will have a good chance to work with that here in Germany, working with a practical platform to shape my skills. I like this better than only theoretical work. You know, we are designing the future!" he said laughing. Of course Kashif is excited to start, just as we are working high speed on making the process as easy as possible for our students. 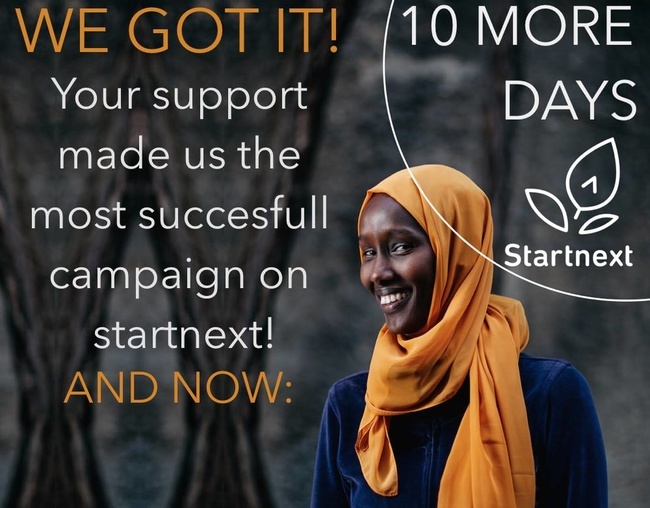 The support of our volunteers is overwhelming and we are on our way to a successful opening, but we still need your support for our start next campaign: https://www.startnext.com/kironuniversity(!!! ) Despite the crisp Berlin air, Kashif was running around Alexanderplatz with a rosy smile. He said he was excited to meet his friends there, some of whom will study with him. Being sociable and curious he said he always tries to learn more about his new friends and those around him, "Just yesterday I had an interview with a lady, a lengthy conversation for three hours. She was explaining German culture and tradition. I did more research about it when I got home. I also did research about Japan when I met my Japanese friend. About his language and traditions. It will be a gathering of all the students form all over the world! All artists, all political beliefs, all ideas!" But his sociable demeanor will not waver his desire to learn. "For now, I prepare by reading, to get new updates. I get access through wikipedia and the Encycolpedia Britannica, on engineering and math. Everywhere, one has to be practical!" found ourselves with a bigger goal. 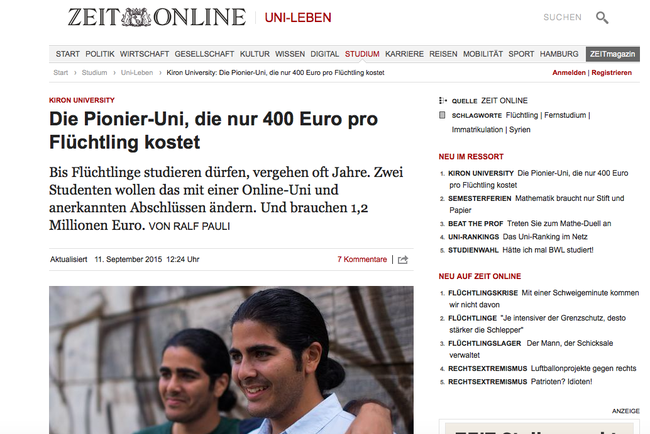 120,000€ means one whole bachelor program for 100 students . But there are more refugees, who couldn't finish their studies in their home countries or cannot start due missing papers in the safe countries, where they are located now - together we can change that! Thanks to you, we reached our first goal, giving 100 refugees access to a whole three years Bachelor program but we know, we can do more! We strongly believe in our community and supporters who are working in a great team with us. We cannot describe how much joy we feel, seeing how the awareness grows that education is not only the tool to integrate, but also welcome them in a safe and fulfilled life that each of us deserves. And we can only say: THANK YOU! 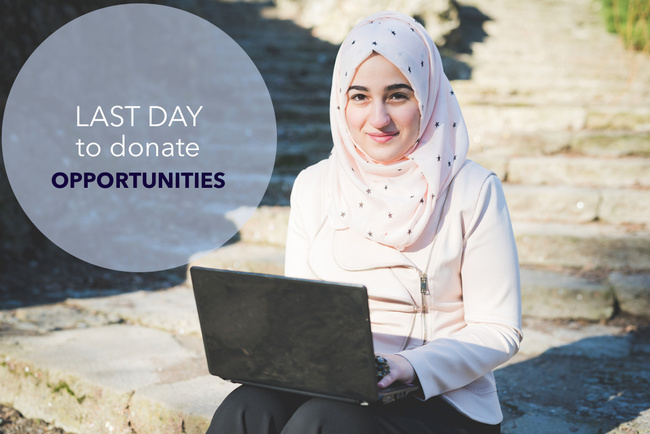 Together we can make studying accessible for even more refugees! 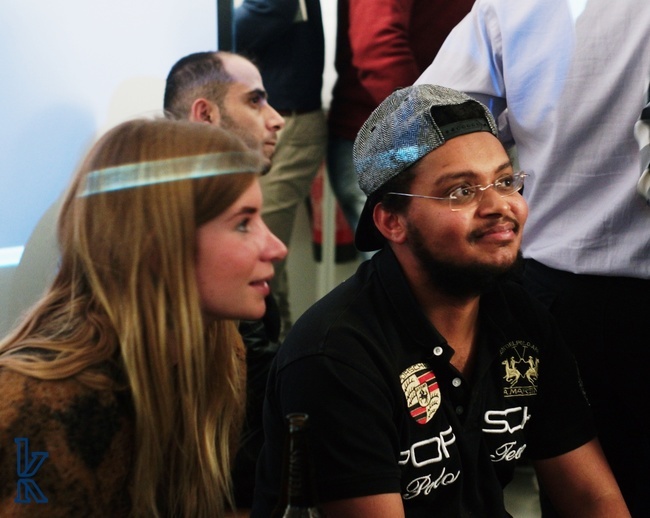 Let´s aim for the financing the next 100 Students! Thanks for this amazing kick off!